Where to buy TWP stain? If you are in need of a high-quality deck stain to provide protection for your deck and deck railings then you will most likely be considering the TWP stain brand as one of your options. The benefits of using this brand are plentiful as it is one of the most well-known and best-regarded deck stain products on the market. So you might be wondering… where to buy TWP stain from? And are there any good deals? What exactly is TWP stain? The abbreviation TWP means “Total Wood Preservative.” You can use it to protect and preserve the surface of different wooden surfaces. They include all sorts of furniture, the surfaces of walls or floors, fences, gazebos, and outdoor decks. 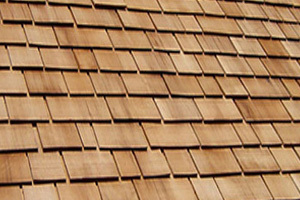 TWP stain protects all of these items from moisture, rot, and even fading from sunlight and adverse weather. The finish from TWP stains is high quality with several choices in the color and tone. Importantly the results look professional and can be long-lasting when TWP stain is applied correctly. For these reasons, TWP stain is one of the most popular deck stain products, with high satisfaction rates among customers. 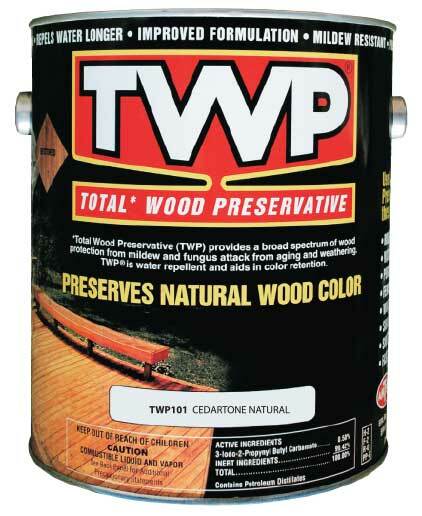 Read more: Where to buy TWP Wood Deck Stain? Keeping your wood boat dock in good structural condition means it must be maintained on a routine basis. Periodically cleaning the wood and coating it with new stain will preserve the wood’s integrity and appearance. The key to prolonged protection is to use the best wood stain for a boat dock. 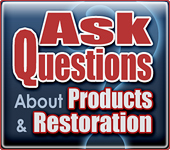 Care must be taken when using cleaning and staining products around a water source. An Eco-Friendly stain like Defy Marine Seal is specifically designed for boat docks and is safe to use in “clean marinas”. Staining a tree house is really no different than staining wood siding or a deck other than it is elevated. Care must be taken when dealing with heights. Use ladder stabilizers and a fall restraint system for protection. Always tether yourself to a safe point on the tree with the proper harness equipment. The use of a bucket truck can also work well if you have that option. But assuming you are the one that built the tree house, you probably have safe means of getting up high to stain the tree house. First the wood needs to be cleaned. Never stain wood that is not cleaned and prepped correctly. Use a wood cleaner to help loosen dirt and grime from the wood. Use a scrub brush or pressure washer to further remove contaminants and gray wood fibers. Do not use too much water pressure as it can fur up the wood. Keep the nozzle far enough from the wood that it does not cause damage to the tree house. Wood fences can certainly add appeal and value to your property. 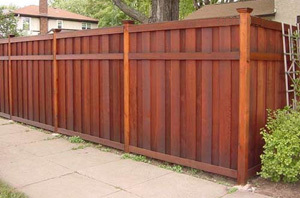 Wooden fences have long been used for marking boundaries, adding curb appeal, and providing privacy. To ensure a wood fence lasts a long time it is important to shield it from the elements. Vertical surfaces like wood fences are less prone to water damage and sun fading than a horizontal surface like a deck floor, but over time they too will begin to wear and eventually fail. Wood fence stains will not only lock out moisture and block out harmful UV rays, but will enhance and add beauty to the fence as well. Why is my deck stain peeling and how do I prevent this from happening? This a common question and occurrence for many exterior wood deck owners. Homeowners love their wood decks and patios and nothing ruins the outdoor experience more than an ugly looking peeling deck. In this article, we will look at the main reasons for deck stains failures, how to fix them, and how to prevent the stains from peeling in the future. Improper prepping of the deck is the number one reason that a new decking stain will fail. In general, the better a deck stain penetrates into the wood the better it will perform. Here are a few examples of improper prepping. Read more: Why Is My Deck Stain Peeling? Read more: 101 Wood Deck Restoration Tips! 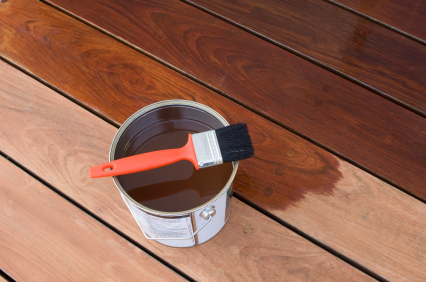 These tips will help you stain an average wood deck in 2 hours! The suggestions below will help you speed up the process of applying a wood stain to a deck. It is best to apply a semi-transparent wood or deck sealer with a pad applicator or by low pressure spraying followed by a pad to ensure an even application.